PARCEO was asked to conduct a workshop with a group of Muslim women in their early to late teens, who were participating in a youth leadership program with the Muslim Consultative Network (MCN). PARCEO facilitated a session that allowed the young Muslim women to think about their own experiences. They reflected on who they are individually and culturally and how they are depicted in the media. They discovered that placing their wisdom and leadership at the center of their work is crucial. After the workshop, the young women asked PARCEO to work with them to develop a campaign and coordinate a press conference so that they could share their experience. 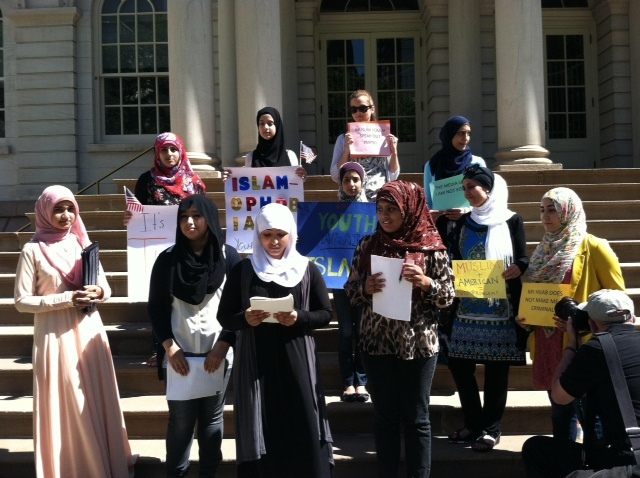 The young women spoke out about how Islamophobia impacts them and other young people, and demanded to be treated with dignity. We were thrilled to support them and see coverage of this important work.